Last Sunday, on a very foggy overcast morning, I headed to one of my favorite local photography spots – Fitzgerald Marine Reserve on the Pacific Coast at Moss Beach, just north of Half Moon Bay. This image looking up the hill was tweaked a bit in Photoshop CC to add more visual interest. Specifically, I used a Motion Blur filter to create the vertical motion in the trees on the left side of the image – while using other tools to enhance the details and contrast in the grass in the foreground, the path, and the trees on the right side of the image. 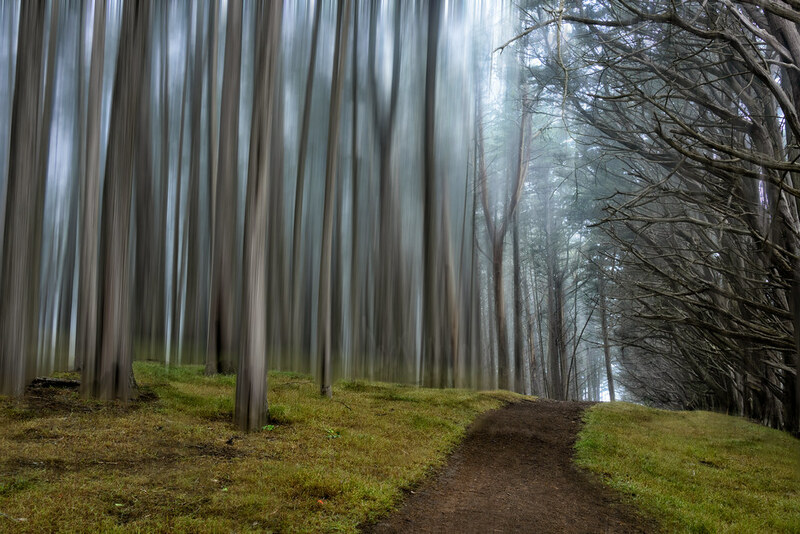 For me, the motion blur makes the image more “ethereal” – with the foggy low overcast skies just hitting the tree tops.